SPECIAL NOTE: BACKING ON ANY LEVEL DOES NOT INCLUDE A COPY OF THE GAME. THERE IS A FAQ ITEM AT THE BOTTOM OF THE POST EXPLAINING THE REASONING! 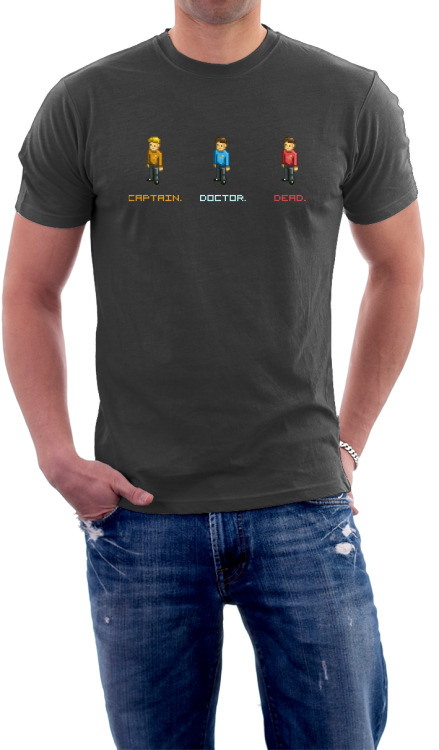 Build your ship, manage your crew, explore the universe. Star Command takes you across the galaxy to discover alien life, engage in epic battles and discover the mysteries of deep space. 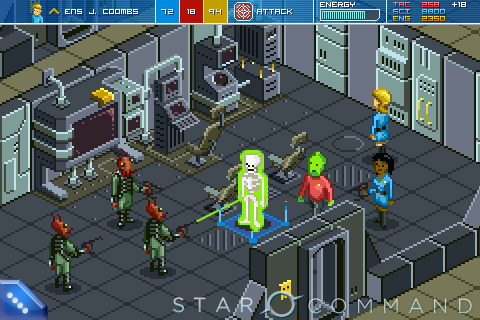 Our team here at Warballoon is working hard on the alpha for Star Command, coming (fingers crossed) this year to iOS and Android. 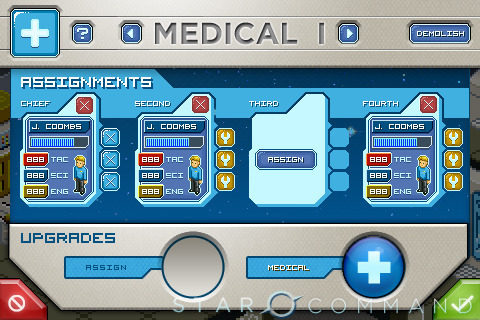 Taking influences from X-Com, Game Dev Story and The Sims, Star Command is a game where you are the creator, captain and crew. Players will customize their ship in their own image - scientific players can build facilities for research and exploration. Tactical commanders can build heavy and powerful battleships. Diplomatic players can construct entertainment areas and quarters for visiting emissaries. Every ship is unique, and every time you play the game changes depending on your approach. Research will unlock new areas to explore, new rooms to build, new weapons to install, upgrades to shields and unlocking abilities to meet new civilizations. As players build their ship they can also expand their crew. Crew members are assigned a job and gain new abilities, leveling-up as they go. 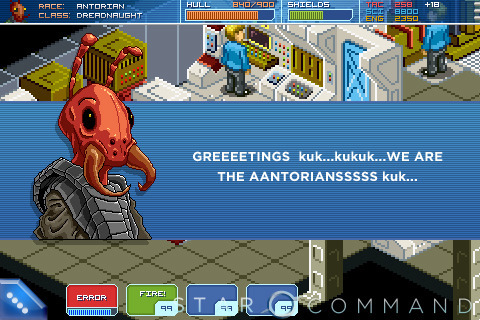 As new species are discovered, players can participate in crew-exchanges, hiring alien crew members for their ship. Players can encounter hostile ships, forcing you to actively fight with your ship. Weapons are armed, shields are charged and the crew takes battle stations. Crew members can be electrocuted, melted, liquified or sucked into the vacuum space - raising the stakes in every encounter. Whether your shields have been disabled or an unknown life form has found its way on board your ship, players will be tasked with defending their ship. In an X-Com style combat system, players will attack invaders, hiding in rooms and even sending crew to their certain doom for the survival of your ship. 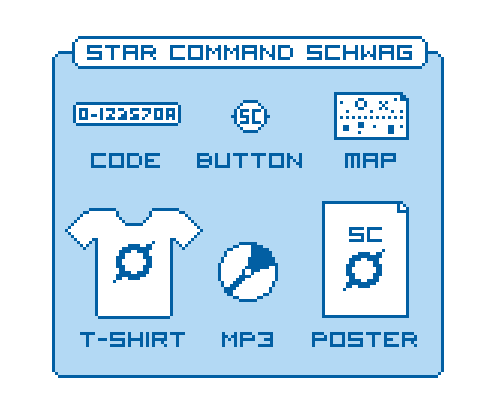 MP3 MUSIC: Digital download of the original soundtrack to Star Command including all-new original tracks created by Marius Masalar, as heard in the the kickstarter trailer. POSTER: A high quality printed poster utilizing the Star Command's unique pixel art style MAP: A high quality printed map of the entire Star Command galaxy, including races and other fun secrets signed by the SC team.